Comfy seating on your private patio! 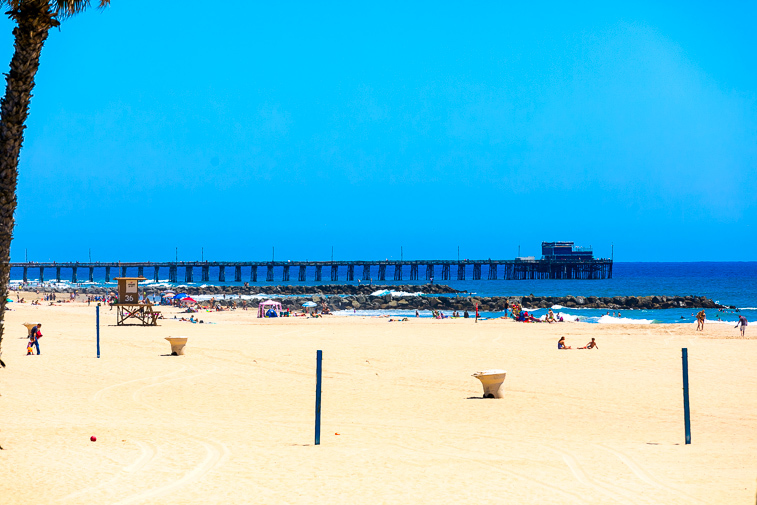 Come and stroll the beach and walk around the pier just steps from your home. Reverse of living room with view towards the kitchen and down the hall towards the bedrooms & bathrooms. Enjoy dining at this table with seating for 4. 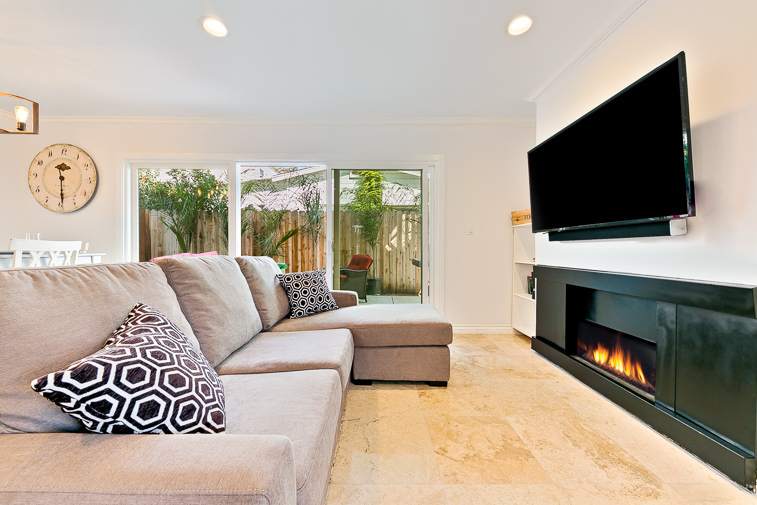 Alternate view of flat screen and fire place in living room. 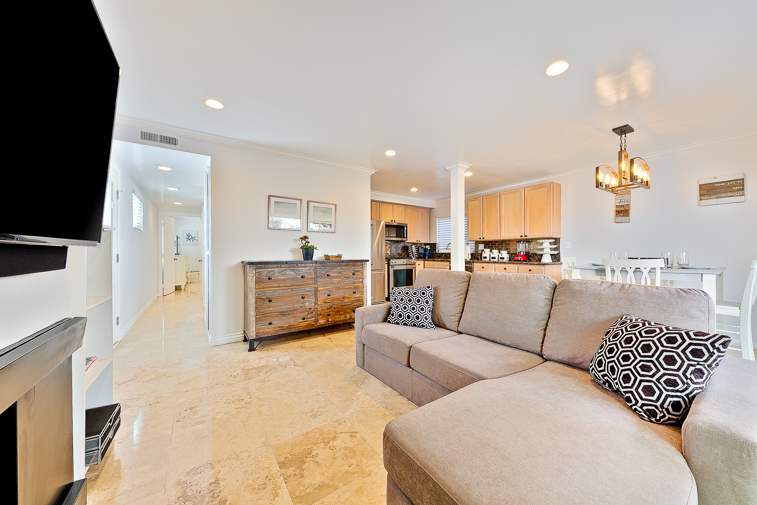 This open floor plan will allow for guests to be able to always be together and spend lots of quality time together. Dining table with ample seating for 4 guests. 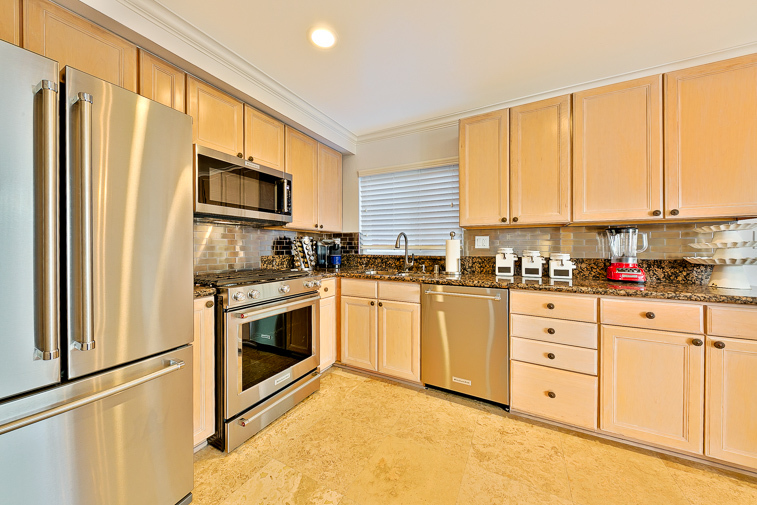 Kitchen with updated appliances. 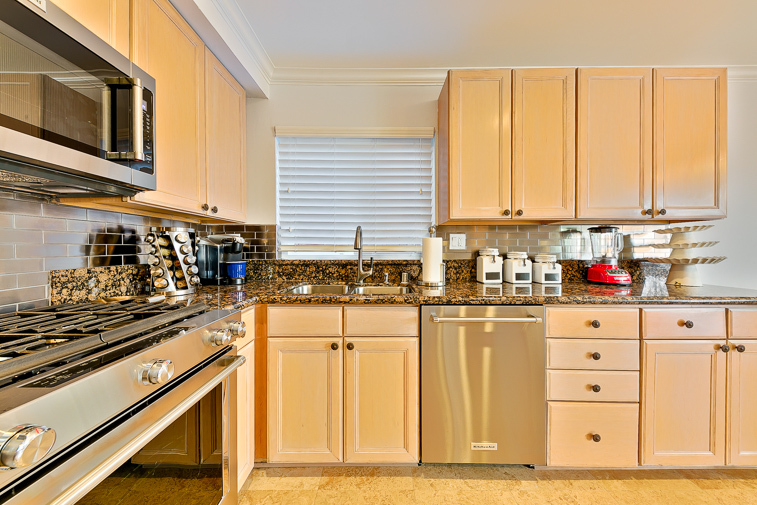 Kitchen is fully stocked with all that you will need during your stay. 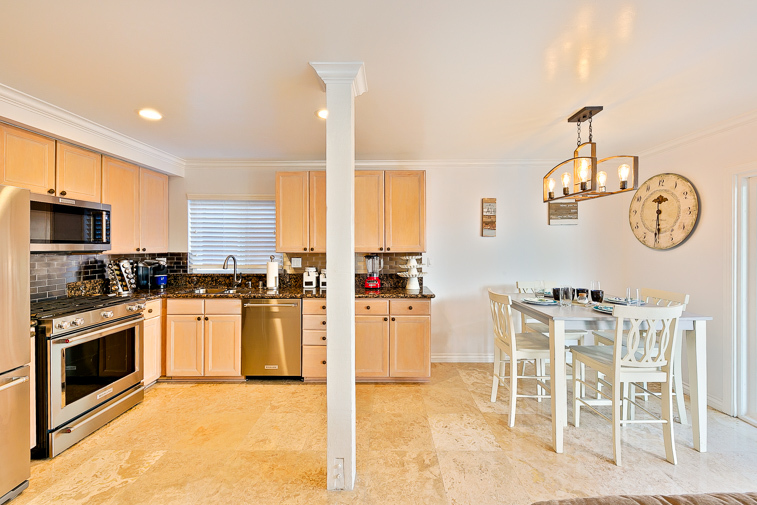 Kitchen and dining area. 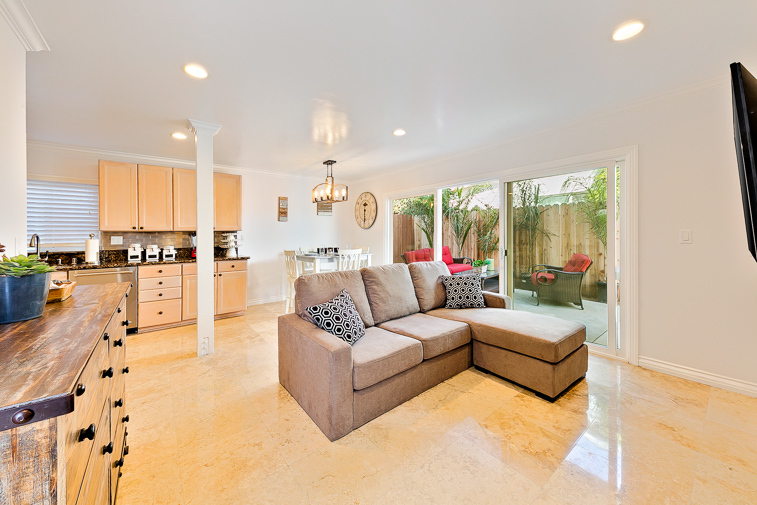 Lounge living room area with comfy sitting, a flat screen TV and private and secluded patio. Lounge on the beach in Newport! 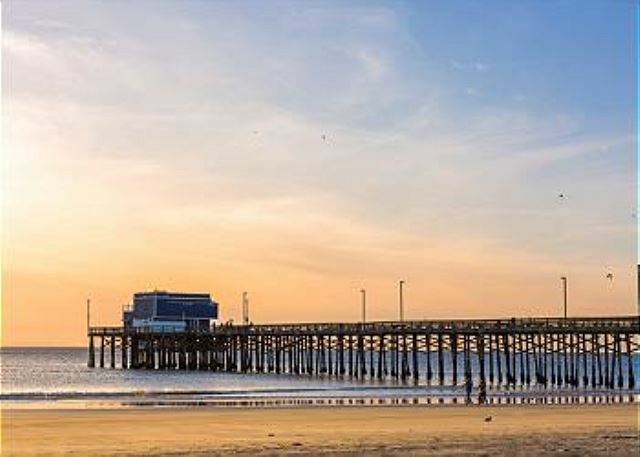 Stroll the boardwalk and dine, shop and drink! 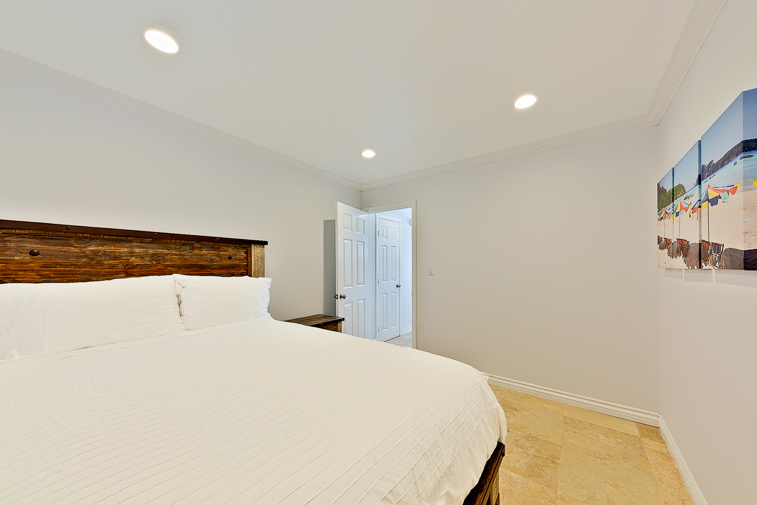 Queen sided bedroom. 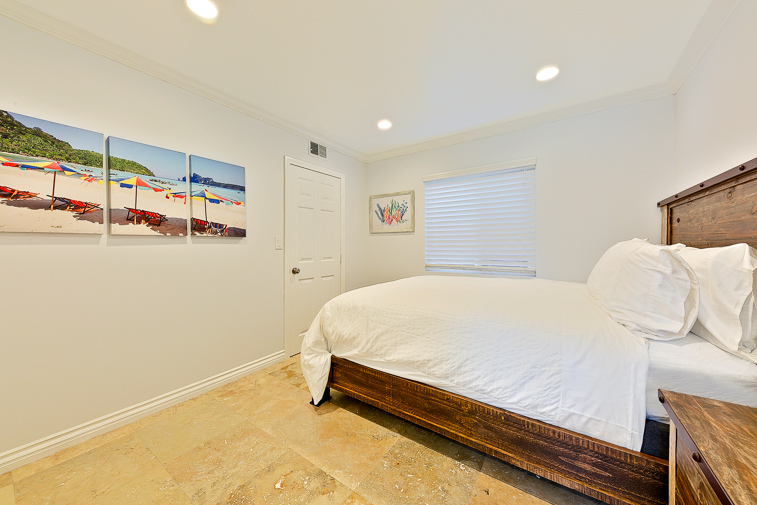 Alternate view of queen bedroom with flat screen TV. Queen sized bedroom with flat screen TV. Bathroom with walk in shower. Enjoy Newport Bay. Queen sized bedroom #2. Queen sized bedroom. Alternate view of queen sized bedroom #2. Bathroom with combination shower/tub. 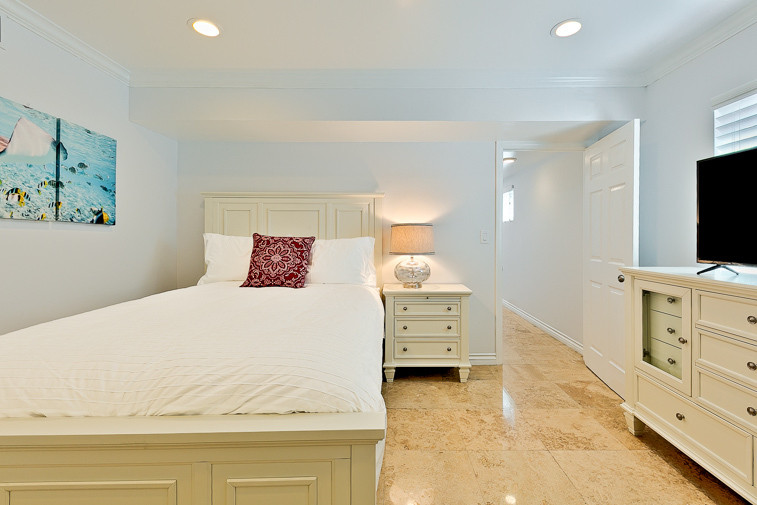 View of shared bedroom hallway. 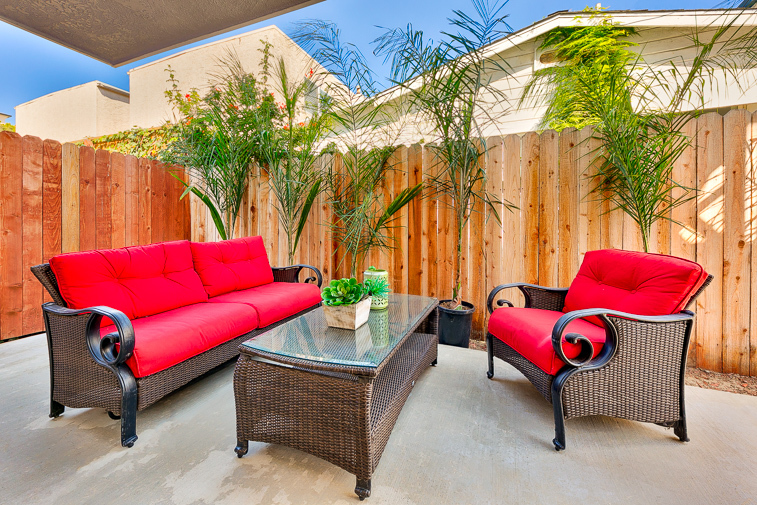 Enjoy relaxing on your private patio sanctuary. 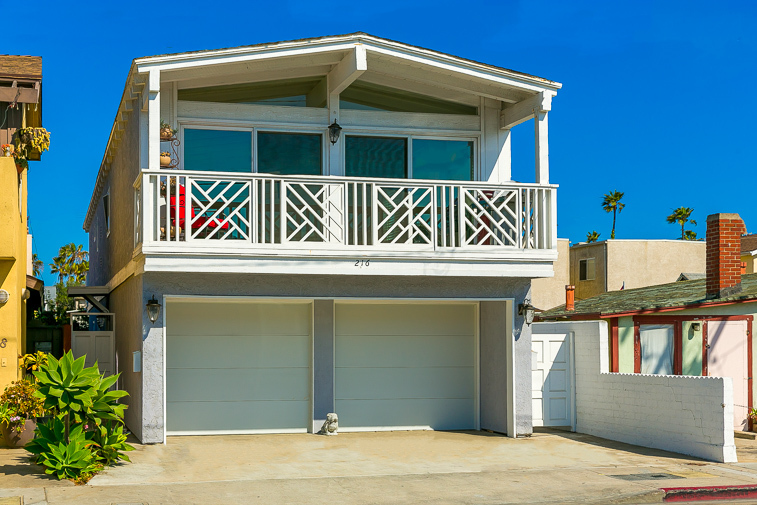 Enjoy this lower level duplex home in the heart of Newport Beach! 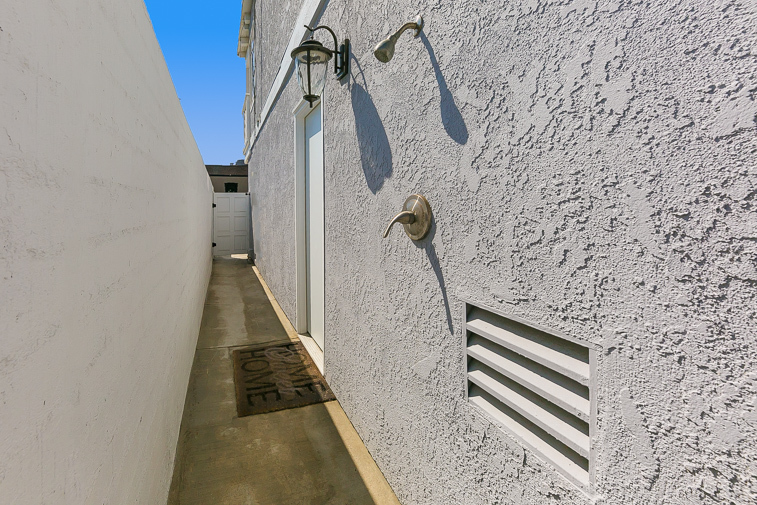 Rinse off after a long day at the beach at this outdoor shower. 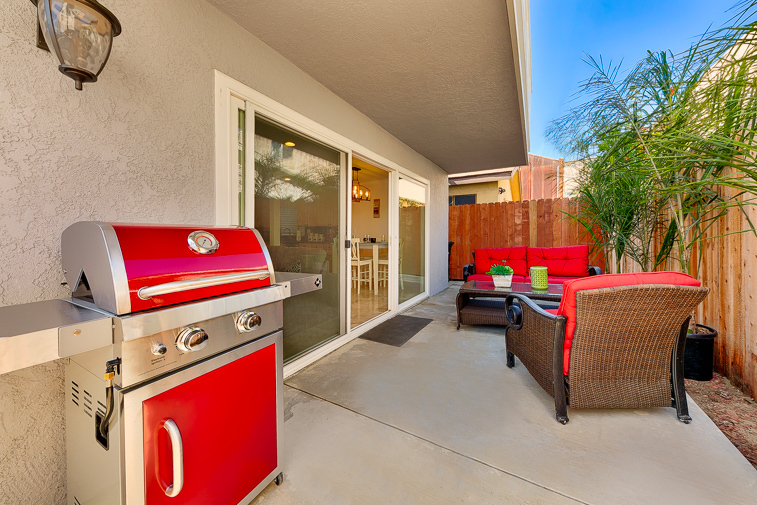 Enjoy a beverage and BBQ on your private patio. 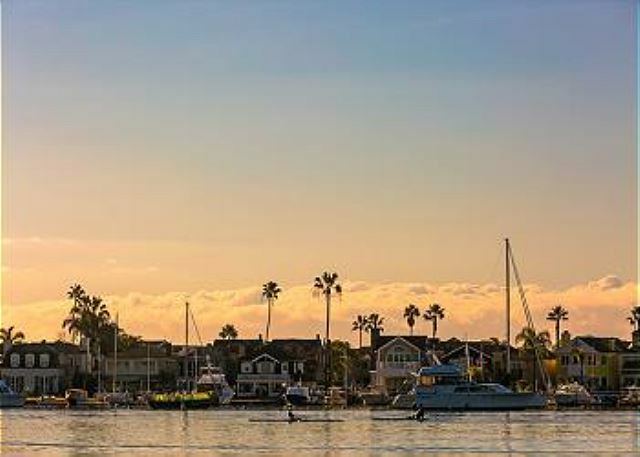 Enjoy a walk to one of the piers in Newport Beach! You will be amazed at how much there is to do within walking and bicycling range. 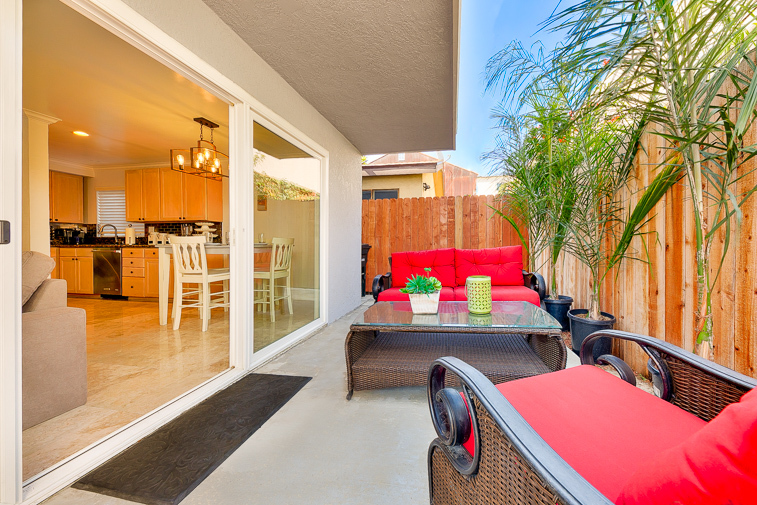 Come home from your day’s adventures to the seclusion of your own attractive, well-furnished patio with comfortable lounge furniture, a barbecue, and a table for al fresco dining. 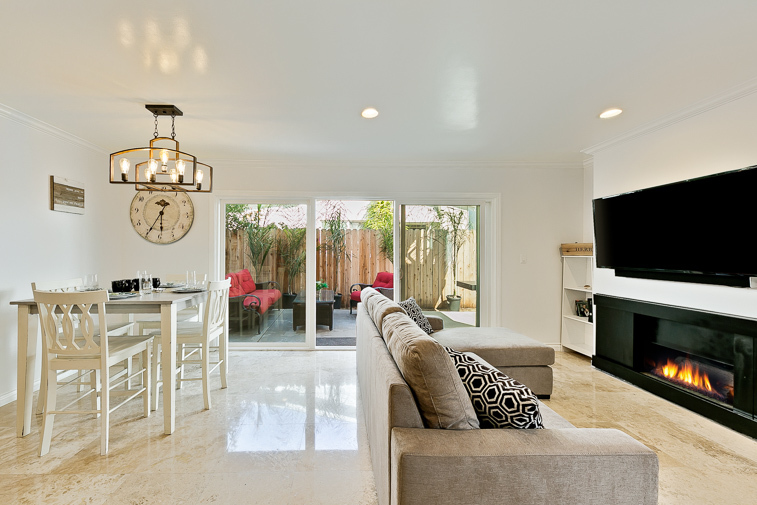 With slider access from the great room it is easy to enjoy Southern California’s inside/outside living. 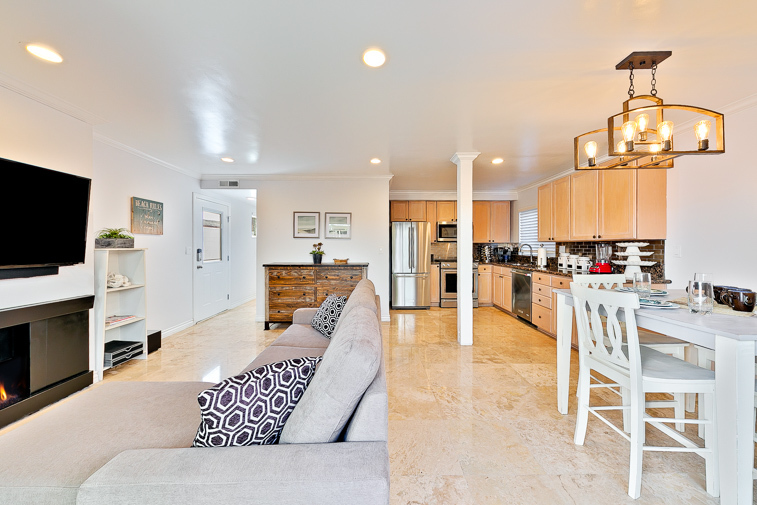 Recently remodeled, this 2-bedroom, 2-bath ground floor home has all the comforts of home starting with a spacious living area of the family room with a large flat screen TV and comfortable cluster seating so everyone can be together. 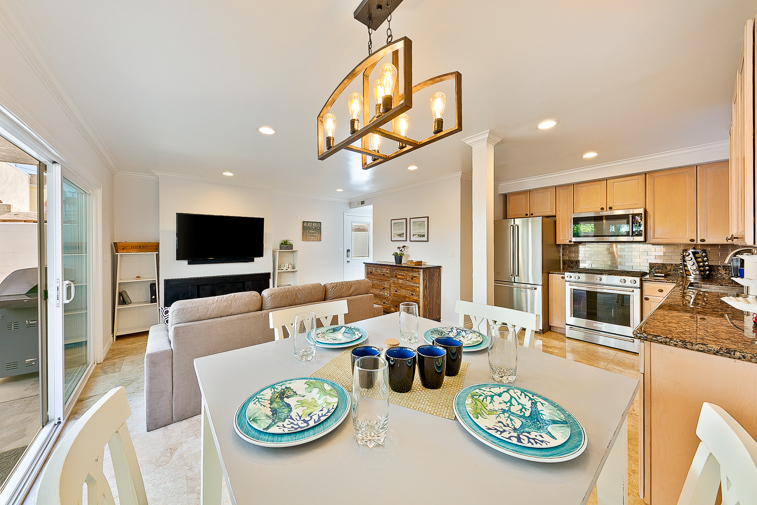 A dining nook for 4 and a completely modern well-furnished kitchen with granite countertops and all stainless steel appliances makes meal and snack making easy – just add the food and the camaraderie and enjoy one another. 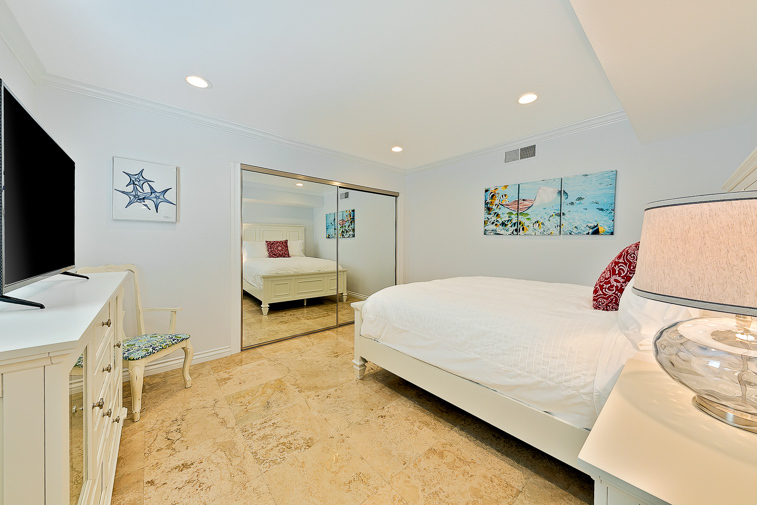 There are two queen bedrooms – each with a large flat screen TV. 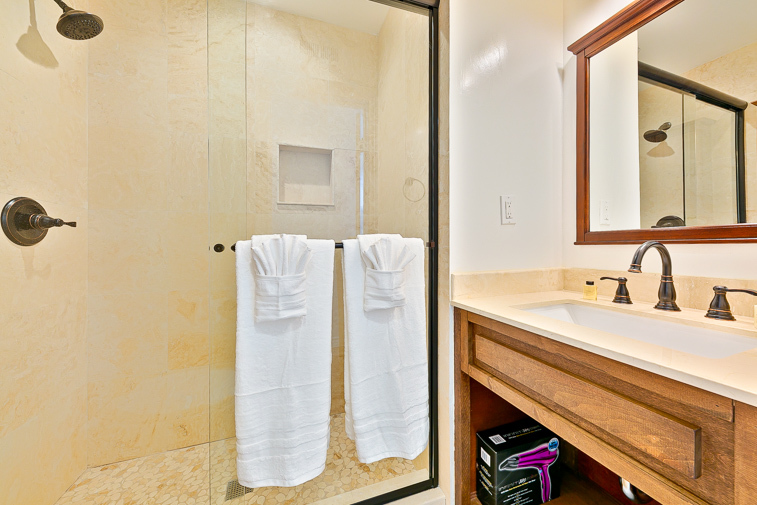 There are also two modern bathrooms – one with a shower/tub combination and one with a large walk-in shower. 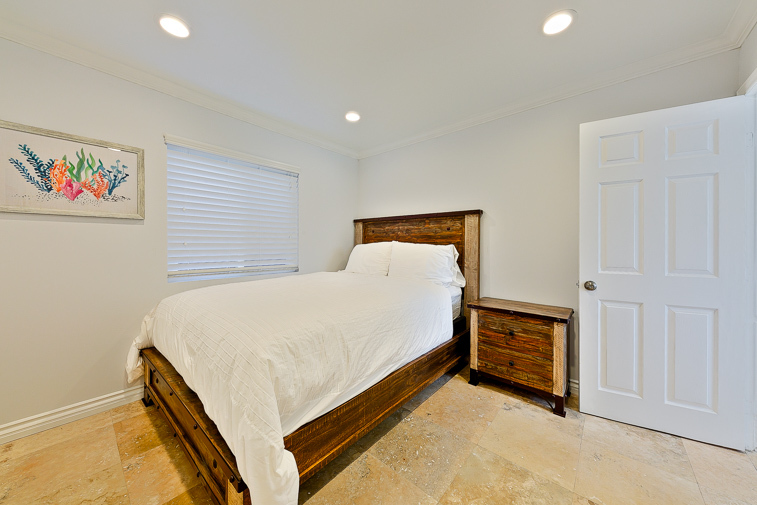 This home comfortably sleeps 4 in beds and all bed and bathrooms are outfitted with ample premiere quality linens for your every comfort. Additional amenities include a WIFI and cable, a washer and dryer for your convenience, and 1 garage parking space, as well as 1 driveway parking space. 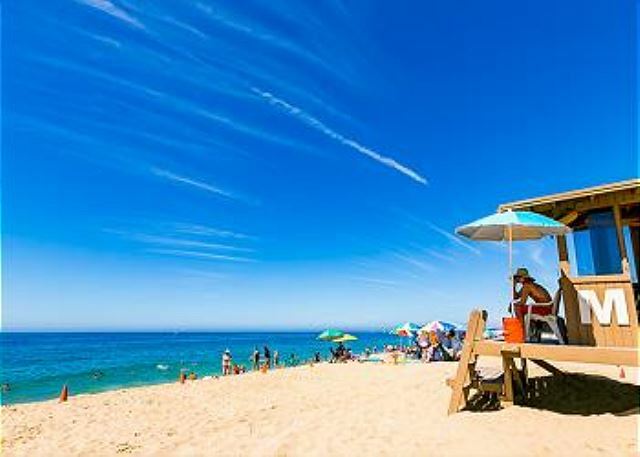 Come enjoy the radiant sun, sand, and surf in a place so intoxicating that one taste of this perfect place will keep you coming back for more. 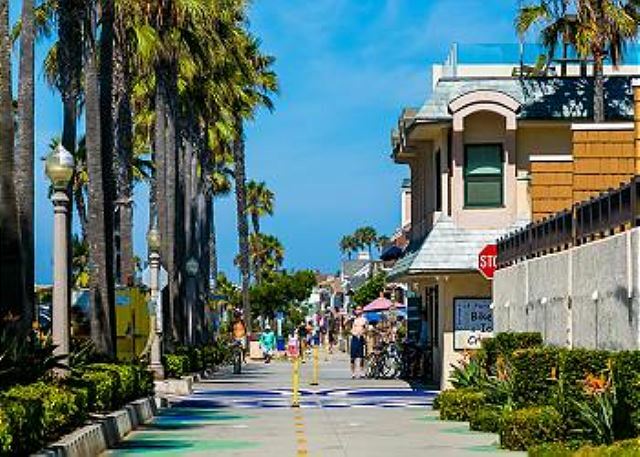 From sunset cruises to surf lessons, wine tastings to harbor-front promenades, there are many things to do here. Not to mention relaxing and unwinding with picturesque views of California’s legendary western sunsets. You are within walking distance of many activities, as well and great shopping and dining. 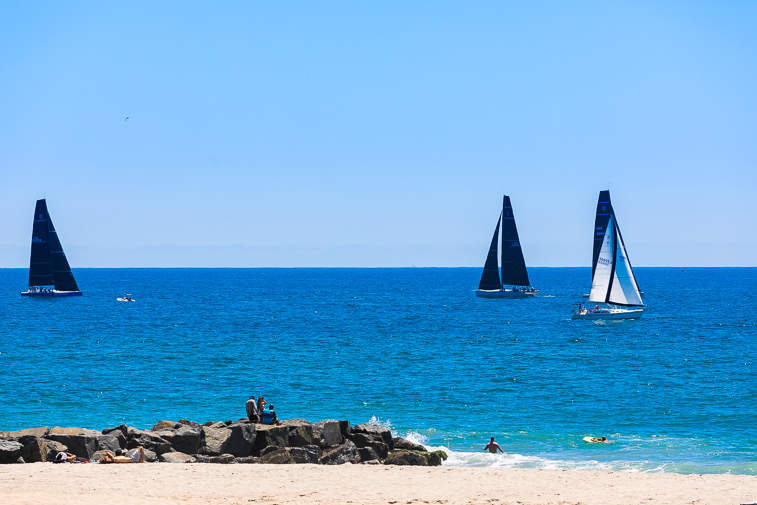 You are within a 5-minute walk to the ocean with its beautiful beaches, some well known for their “surfing” waves. This place is pet friendly so feel free to bring your furry friends along! Great location and a very stylish clean house. Would definitely stay again! Thank you for providing a great place for our stay. - Reviewed By Mike K.
The location is perfect perfect perfect! I highly recommend staying at this beach home. The location is perfect perfect perfect! The area was very quiet at night. 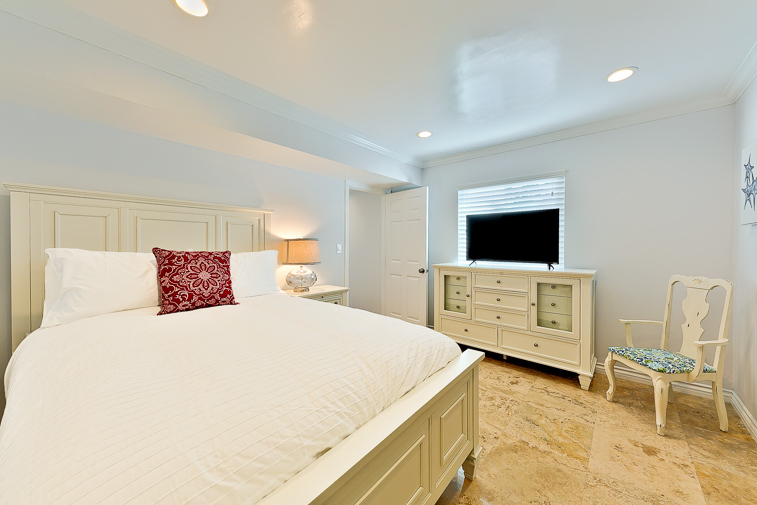 the beds and linens were comfy and clean, the kitchen had all the appliances and essential dishware for your stay. The bathrooms were small but not a problem. Garage and laundry definitely a plus. Anything else you might need they are quick to answer and to provide. Overall experience was great! - Reviewed By Lee J. - Reviewed By Davide B.